Hope you all had a fantastic long weekend. It rained here in the St. Lawrence River Valley, but we enjoyed the opportunity to relax and do some summer planning. A friend of mine said her son was setting up a family meeting for summer plans and it got me to thinking. Come visit us and enjoy the loveliness that we call home! Fobares Fruits, Eisenhower Locks, Canton & Potsdam Farmer’s Markets, Ice cream stands & coffee shops, delicious restaurants that source local/organic ingredients. Take a drive and visit Lake Placid, home to the 1982 Olympics or go north and visit Ottawa, tons of museums, flower gardens, IMAX and Poutine! 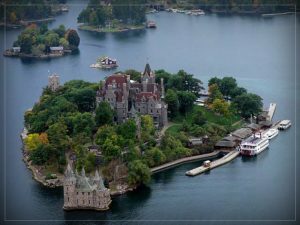 Go south and visit the Thousand Islands, take a boat cruise on the St. Lawrence and visit Boldt Castle. White Pillars Lodging – just 6 miles from us in Amish country, offers full house, waterfront as well as B&B rooms. John & Donna are highly recommended. Litengard Bed & Breakfast – Enjoy Margaret & Robert’s Swedish heritage and loving hospitality in a delightful home. All within walking distance of all the Canton has to offer. 24 East Main – Charles & Brooke offer a beautiful home that they renovated in the heart of Canton. Center of Canton. 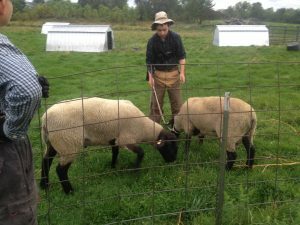 Driving offers you the chance to go hither and yon, stop at an Amish seller of baskets, pop into the Adirondacks and see the Wild Center, go to the Thousand Islands and find your favorite wine. We are about 4 hours from Albany, 6.5 from NYC. You can also fly into Ogdensburg or Massena via CapeAir from either Albany or Boston. Enterprise will pick you up at either location. Would love to put a face to all of you who order. Don’t forget to come and visit us at the ranch, see the sights and pick up supplies for picnics at the beach.